All activities will take place in the Ballroom at the Little America Hotel unless otherwise indicated. 1:00 pm – 2:00 pm Clinical Lab 2.0: What is the Value of our Data for American Health Care? PLEASE NOTE: All presentations EXCEPT for the Satellite Workshop-TRIG, Young Investigator Oral Presentations and Posters, Laboratory Test Renaming for Understanding and Utilization, and the Educational Short Courses offer CME (AMA PRA Category 1™) credit. Program Overview: The purpose of this conference is to prepare laboratory medicine/clinical pathology physicians, scientists, residents, and fellows for the future of laboratory medicine. This course consists of topics in mass spectrometry, informatics, hematology, molecular diagnostics, microbiology, and automation. The intended educational outcome for this course includes improved diagnostics and subsequent patient care by enhancing understanding and implementation of new testing methods and technologies in the clinical laboratory. Target Audience: Physicians, clinical pathologists, clinical scientists, students, residents, and fellows. AMA Credit: The University of Utah School of Medicine designates this live activity for a maximum of 14.00 AMA PRA Category 1 Credit(s)™. Physicians should claim only the credit commensurate with the extent of their participation in the activity. Credit Redemption: To redeem your credit select “ Click Here to Redeem CME Credit ”. Enter the password provided to conference attendees and then complete the credit redemption form claiming only the number of credit hours commensurate with your participation keeping in mind that the Satellite Workshop-TRIG, Young Investigator Oral Presentations and Posters, Laboratory Test Renaming for Understanding and Utilization, and the Educational Short Courses were NOT included in the number of approved hours of CME credit. Once you’ve completed the form, click “Submit and Create Certificate” and a PDF of your CME certificate will automatically be generated for you to save and/or print for your records. 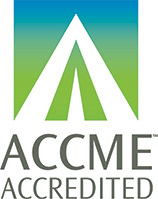 Upon completion of your CME certificate you will be prompted to complete a course evaluation.